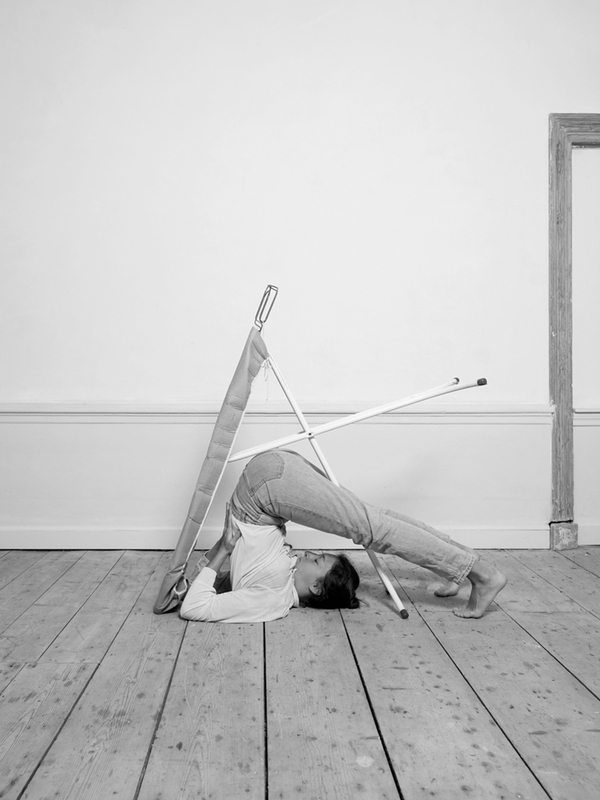 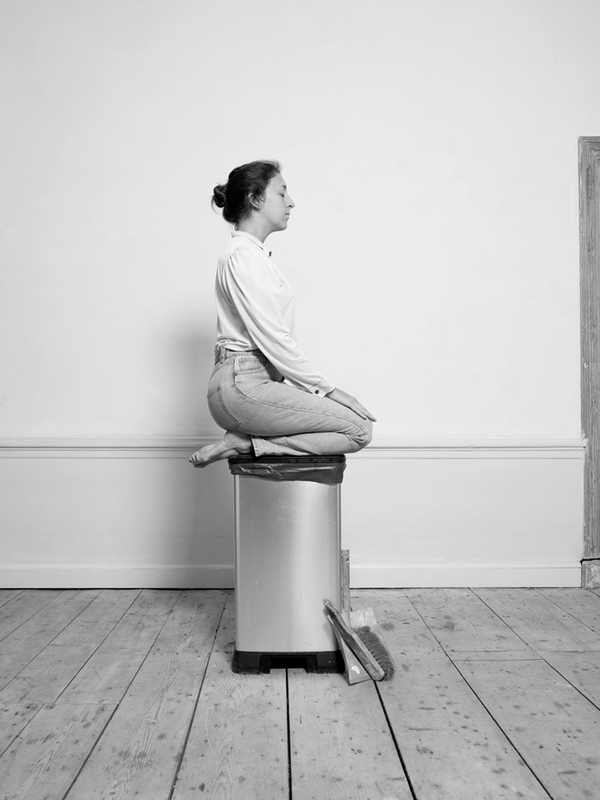 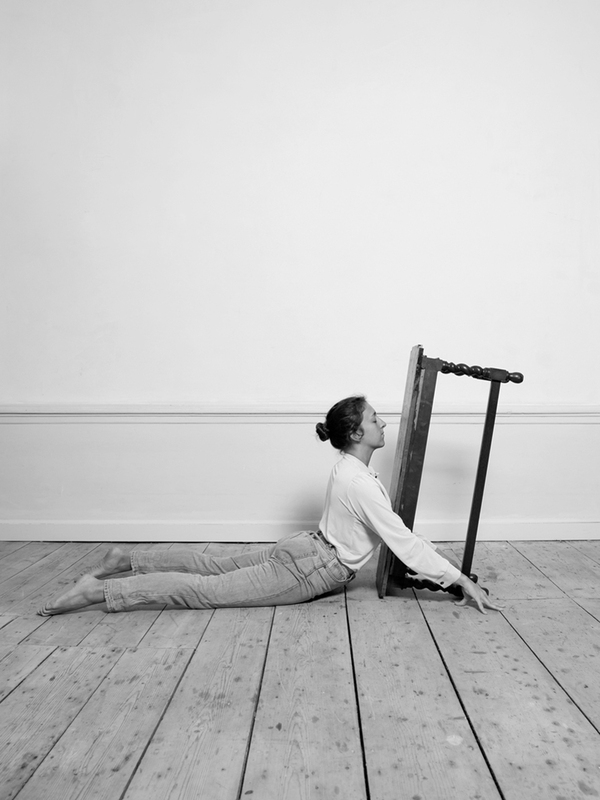 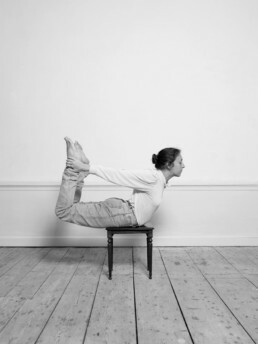 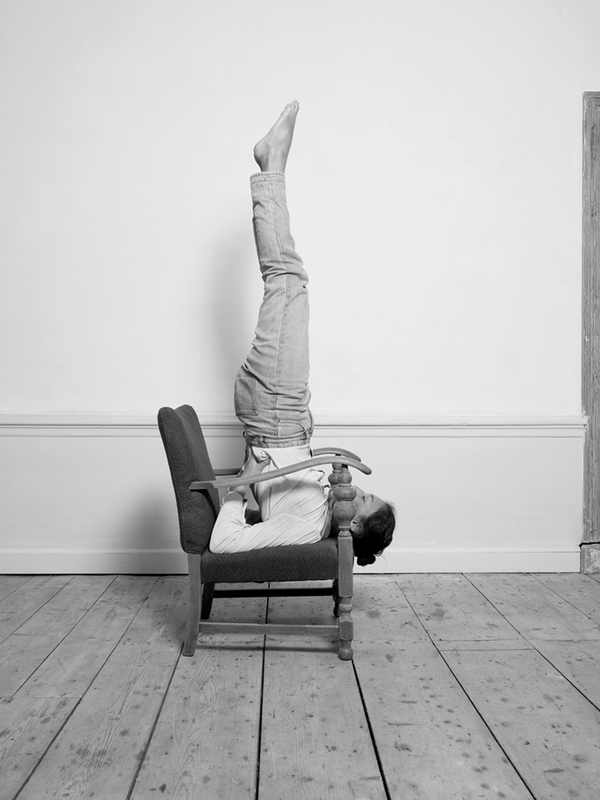 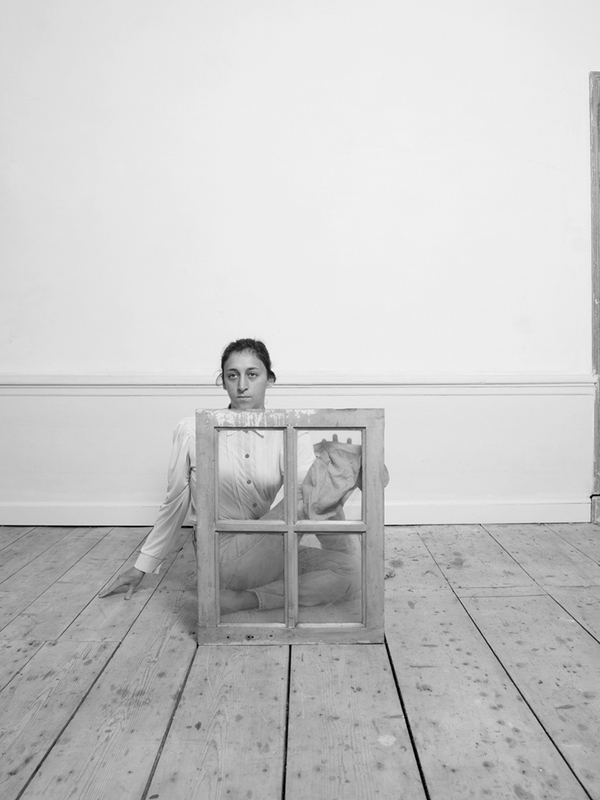 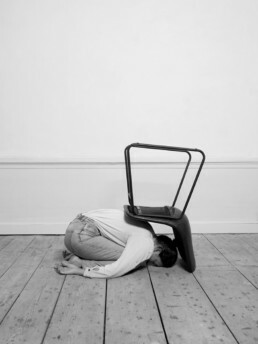 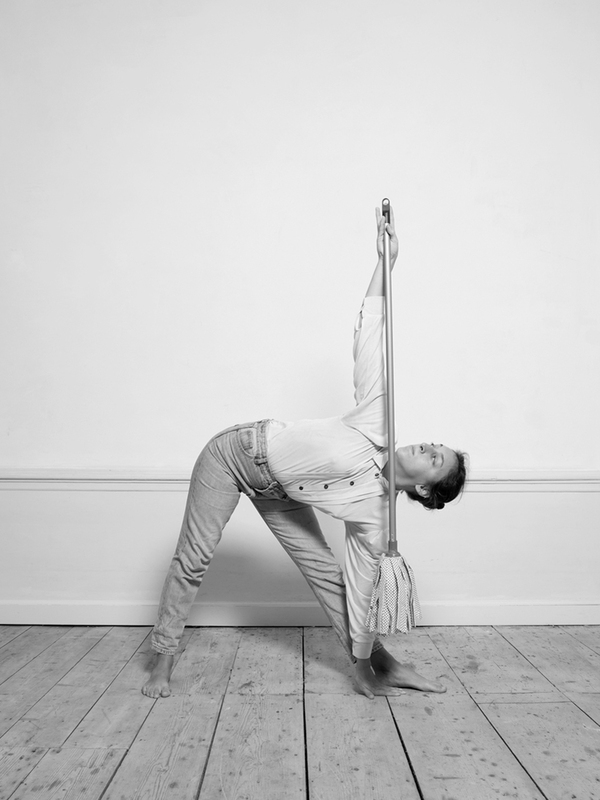 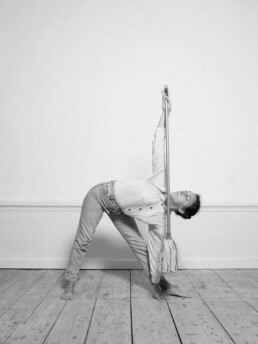 As part of a research project on women’s position in the western society, Csilla Klenyánszki has created ‘House/Hold’, an ironic solution for the housework gender gap and its consequences that combines a 30 minute yoga session with domestic chores. 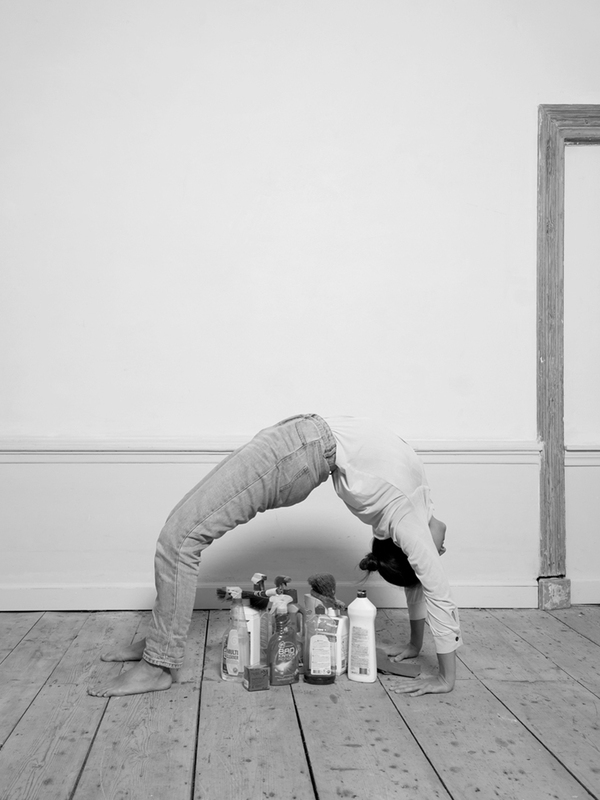 Using household items as aids in a yoga sequence, the Amsterdam-based, Hungarian artist reflects on the limited access women have to leisure time compared to men due to the extra time they spend on unpaid work, such as domestic chores and childcare. 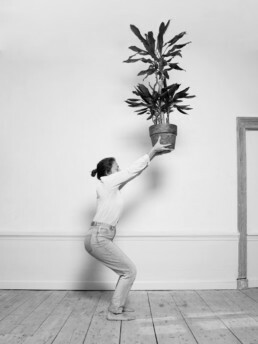 Examining the evolution of gender equality in various subjects, Csilla has found that according to the ONS (Office for National Statistics), women spend five hours less on leisure than men on a weekly basis, while time spent on leisure has risen for men and dropped for women since 2000. A guide for domestic meditation, ‘House/Hold’ transforms the home using domestic objects, while the repetitive act of chores becomes not just a physical but also a mental and spiritual act where women and their items become entangled. 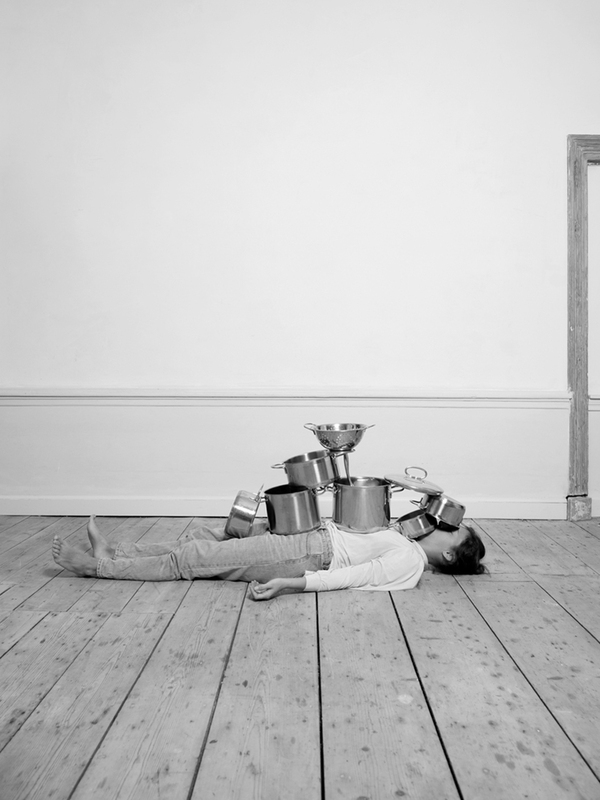 Taking the country she is based in as an example, the artist notes that in the Netherlands, women spend on an average nine hours more on house work than men, while in households with children the gap is even bigger, reaching an average of 15 hours more than men. ‘According to the second shift written by Arlie Hochschild, mothers do at least a month unpaid work more in a year than fathers,’ explains Klenyánszki. 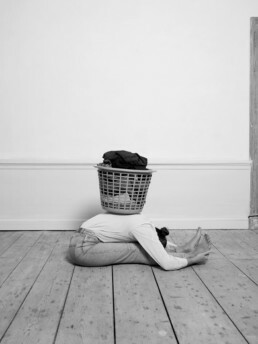 As a conversation starter more than an actual suggestion, ‘House/Hold’ employs different items, such as detergents, chairs, tables, plants, and laundry baskets, and combines them with various yoga positions to highlight women’s diminishing boundary between work and leisure.